I love to bake, I’m not that good at it, but I enjoy it and the cakes are tasty at the end of the day and let’s face it that’s all that matters. 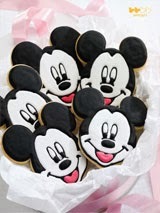 I’m also a huge Disney fan, so when a magazine combining the two came out, called Disney cakes, well I had to have it. This magazine is fab, everything you can make looks amazing and incredibly complicated, but once you see the instructions and everything broken down it’s really not. I love how achievable everything is. I’m not saying making Cinderella’s castle is something you can rustle up in 20 minutes, but it’s doable. 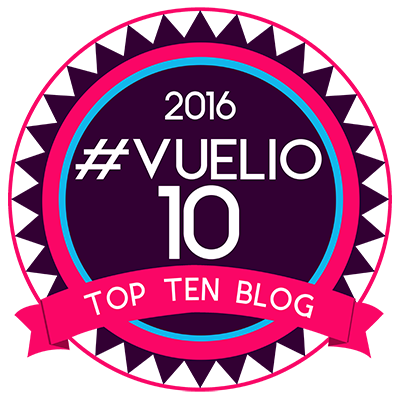 There is also a free digital version which I’ve used and is excellent. I love this magazine and the Mickey cutters worked really well. I get really warm when I sleep and have been having lots of headaches due to problems with my neck. I found the perfect solution to this. 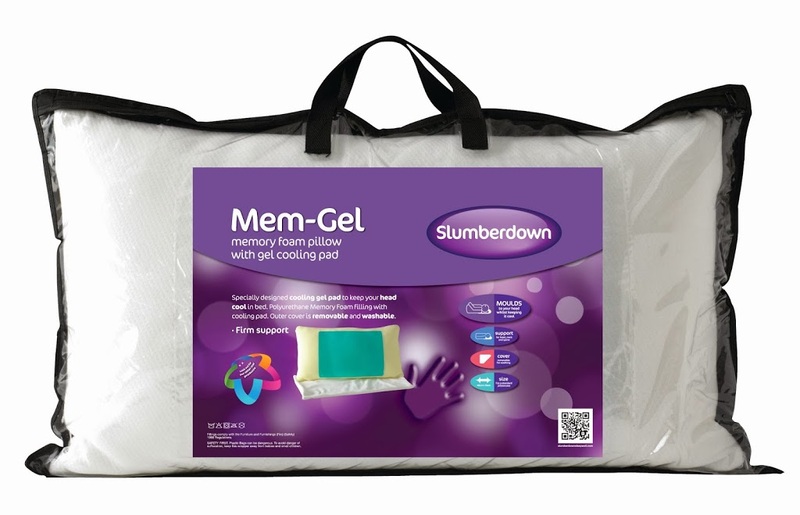 Slumberdown do a pillow called a Mem-Gel, which has a built in gel back to keep you cool and is made of memory foam giving idea support. 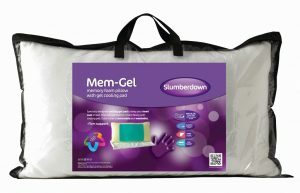 I was a bit worried about the gel that you’d feel or hear it but you don’t and it actually feels cool, not cold to touch just cool when you need it. I can’t really explain it, you have to feel it to understand, but it really does work. Also the support and comfort I’ve had from this pillow is nothing like I’ve experienced before. I’ve still had the odd headache but nothing like what I was getting and they have never been coming from problems with my neck. I’ve used this pillow for several months now and it’s never lost it’s shape like every other pillow I’ve ever had. I love this and wish I’d had it years ago. I got this from Argos and it’s £24.99 which you might think is expensive, but I think it’s worth every penny. When I was young my mother owned a health food shop, so I was brought up surrounded but herbs, spices, alternative medicines, etc. I helped there a lot as she worked there herself 6 long days a week. 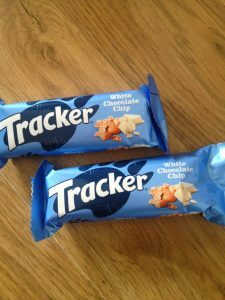 One of my favourite items in the shop were Tracker bars, I loved them. I’m sure she had to buy double the amount to sell as I kept eating them. 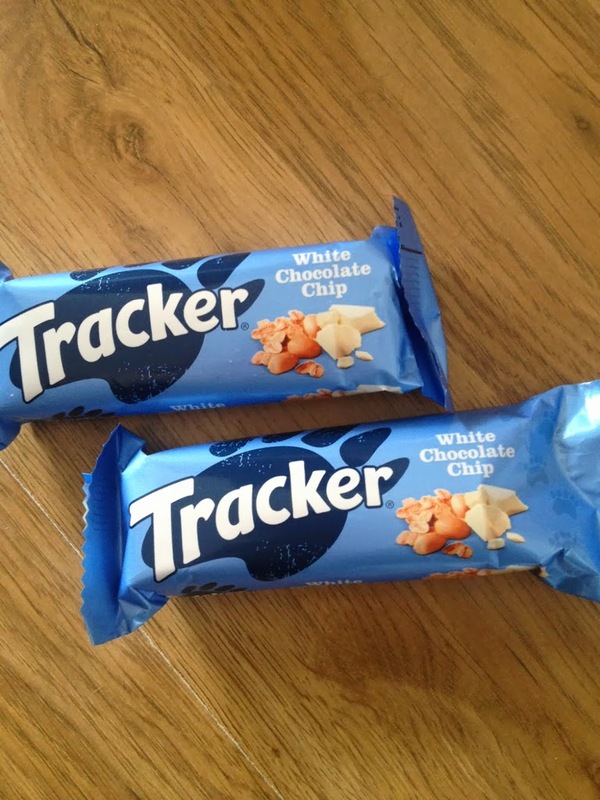 Recently they have released white chocolate chip. These were supposed to be for the boys, but they really didn’t get a look in. I don’t think I gave them any. I ate each and everyone. I love them. They are tasty and peanuty. I did buy another box and gave that one to the boys for snacks at playtime. I may have bought another for myself shhh. We’ve been away a few places over the Summer and with two children and a baby, we required A LOT of stuff. 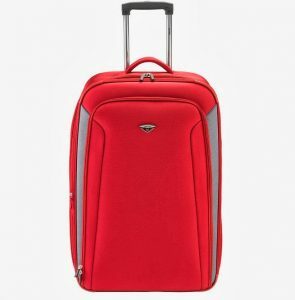 The best thing for us this Summer has been the Antler Duolite GT Suitcase. It pretty much fitted all of our clothes for the five of us for 10 days. Incredible. The handle was sturdy and pulled along fine without tipping. It’s like a hard shelled case but soft at the same time, hard to describe, but it’s super light, yet has enough protection that you don’t have to worry about your items being bashed. It is 74 x 49 x 33/36cm and weighs just 3.2kg. A great suitcase. I’m a big chocolate fan, let’s face it, most people are. 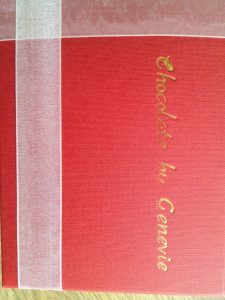 I was sent a box of Chocolate by Genevie. These chocolates were delicious. I’m not a fan of dark chocolate, so those I gave to my hubby and mother. I kept all the rest to myself, I’m a little selfish when it comes to delicious chocolates. The box they come in is very pretty and the chocolates are well presented. 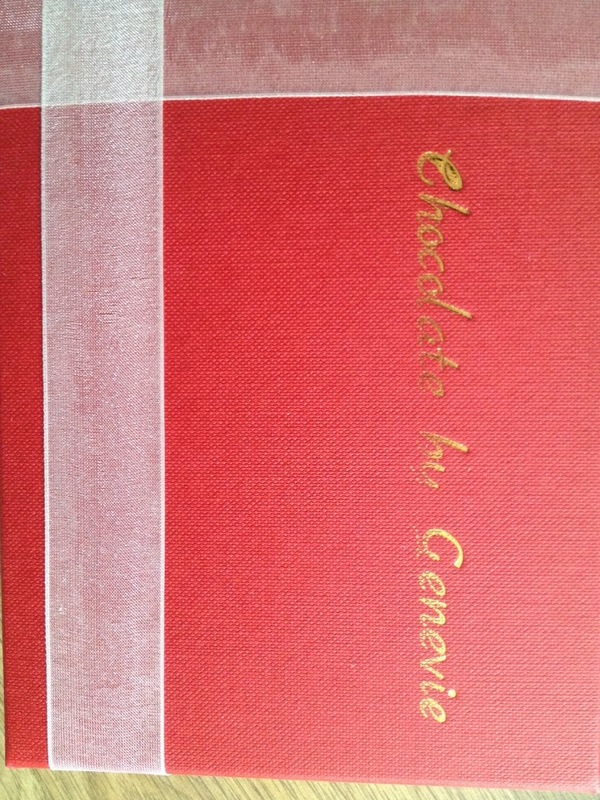 I will be keeping Chocolates by Genevie in mind for Christmas gifts this year. Delicious and quality. Toothpaste can be a bit of a hit or a miss. Some like one taste, some like another, some need sensitive, some don’t, etc. I tried the new Beverly Hills Formula Perfect White toothpaste, for a whiter smile. Do my teeth look whiter, well actually I think they do. 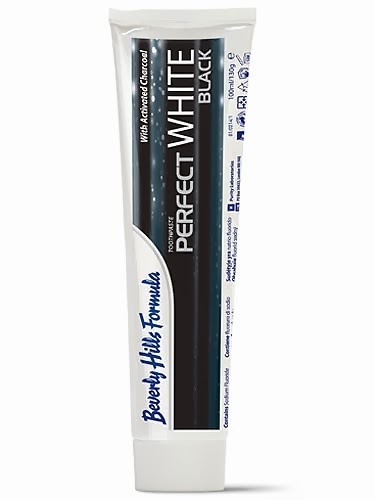 I’ve tried other whiting toothpastes and never noticed the difference, it could be because I’m looking harder with this one, or it could be because I’m a little obsessed with the fact this toothpaste looks like tar. Now don’t get me wrong it far from tastes like it, well what I’d imagine anyway. But it does look like black goo. It tastes and feels like normal toothpaste and if you can get away from the weird colour, I think this is a really good whiting paste.